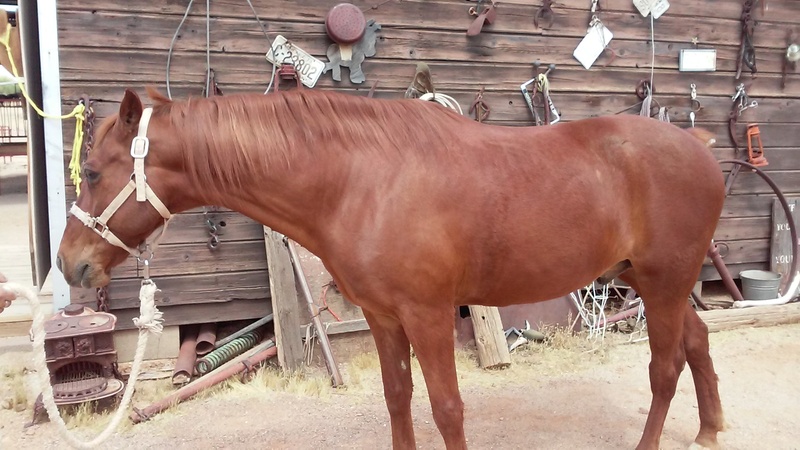 18 year old sorrel gelding, registered “ Rocky Mountain Horse” 1190 pounds and 15 hands 2” with a medium build. WHAT I LIKE ABOUT BEN: He has a beautiful, easy to ride, comfortable running-walk and can cover a lot of ground without wearing himself or the rider out. Coupled with his great attitude these attributes make him a wonderful trail companion. We purchased Ben as a two year old from our relatives in Kentucky. Ben’s bloodline has been in our family since the 1930’s. The Rocky Mountain Horses are not from Colorado as one would think in this part of the country but they are actually a Eastern Kentucky breed. They have been breed to carry an intermediate gait with a docile, friendly temperament. Ben has wonderful smooth running-walk that he can carry for miles and miles. I have often heard it said that you cannot ride these gated horses in the rocks and over logs and that is simply not true. 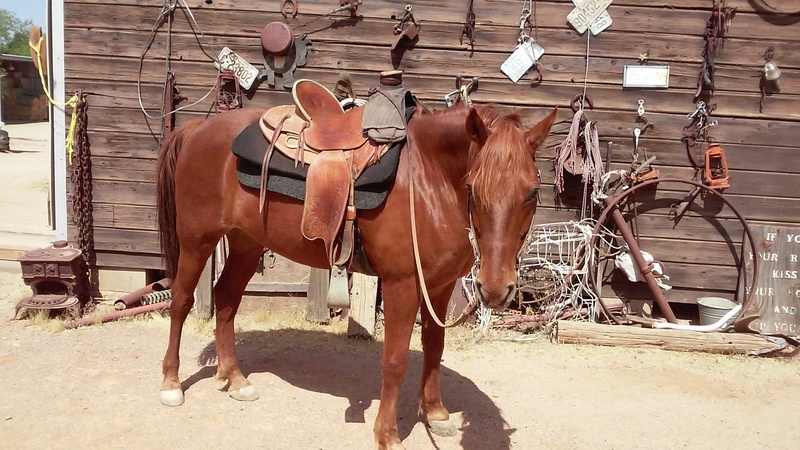 Any where you can trot a horse, you can ride these horses in gait and you will not be sore and miserable from having bounced in the saddle for hours, these horses are smooth. Ben has been used in the string with guest riders for the past 12 years. Before that he was a guide horse and carriage horse. Ben has been on pack trips into the Gila Wilderness, Canyon De Chelly , Rincon Mountains and the Catalinas. He has been exposed to hikers, bikers, and ATV’s and is not inclined to spook or startle. He is good with handling his feet, shoeing, trimming and no bad habits. Ben will make a great companion for a beginning rider with a few lessons or an intermediate rider who wants a comfortable, safe ride. Ben is stout and in perfect health so he can carry a heavy rider. Ben will be the same horse if you ride him every day or once a month.